Jonquil Lowe is Senior lecturer in economics and personal finance at The Open University. 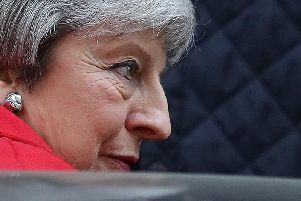 In the last Prime Minister’s Questions before the 2017 general election, Theresa May refused to guarantee the “triple lock” policy that guarantees pensions will rise in line with inflation, earnings or 2.5% – whichever is highest. It’s a contentious issue, as pensions make up a the biggest portion of the nation’s welfare budget. It’s also a highly important issue for older voters, the section of the electorate that is most likely to turn out and vote. The fact that the Labour Party has committed to keeping the triple lock puts the Conservatives in a tricky position. Yet the triple lock has faced criticism from a number of pensions experts. Critics say that the way these increases have been calculated is beginning to look overly generous and needs to change. To understand this fully, it’s necessary to consider why it was brought in and how much it costs. Most people in the UK qualify for a state pension in later life. If you reached your state pension age before April 6 2016, your pension may have two parts: a basic pension (maximum £122.30 a week in 2017-18) and an additional pension linked to your previous earnings. If you reach state pension age on or after that date, you get the new “flat-rate” state pension (maximum £159.55 a week). This is higher than the old basic pension but the additional pension is abolished for these newer pensioners. However, under transitional rules, you might get extra – called a “protected payment” – reflecting some additional pension you had built up before April 6 2016 under the old system. The additional pension and any protected payment are increased each year in line with price inflation to protect their buying power. But, since 2011, the basic state pension and the new state pension have been increased each year by whatever is highest out of price inflation, earnings inflation or 2.5% (the triple lock). The three strands of the triple lock have been around for a long time, but it was the 2010 coalition government that united them, following a commitment in the Liberal Democrat manifesto. The chart shows the basic state pension and, from 2016, the new state pension as a proportion of the average earnings of the working population. The different colours indicate the basis used to increase pensions each year. The chart shows how policy see-saws between protecting pensioner incomes and containing cost. Back in the 1970s, when the basic pension was worth around a third of average earnings, it was increased each year by the greater of the change in prices or earnings. The earnings link ensured that pensioners’ living standards would not fall behind those of the working population, given that historically earnings have tended to rise faster than prices. The earnings-link was deemed unaffordable and scrapped in 1979 by Margaret Thatcher’s government. Even though the basic pension increased with prices over the next couple of decades, as the chart shows, its value fell consistently relative to workers’ incomes and, by the early 2000s, was worth only around a fifth of average earnings. Although the principle of maintaining the buying power of the state pension was met, by this time the UK was in a low inflation era, so the pounds-and-pence increases seemed meagre. This caused outrage in 2000 when the basic pension rose by just 75p a week. In response, the then Labour government introduced a new guarantee that, from 2003, the basic pension would increase each year by at least 2.5%, even if inflation were lower. Subsequently, Labour committed to reintroducing the link to earnings at a future date, expected to be 2012. Events overtook Labour, but the coalition government not only restored the link to earnings – it also retained the 2.5% minimum annual increase, creating the triple lock. The triple lock applies to both the basic pension that pre-April-2016 pensioners are getting (the yellow line) and the higher flat-rate pension that more recent pensioners receive (the blue line). As the chart shows, the 2.5% minimum guarantee and the triple lock have together started to reverse the decline in the basic state pension relative to earnings, though it remains historically low. However, the new flat-rate pension is worth more than 30% of average earnings, restoring the level of the 1970s. If the triple lock were to continue indefinitely, the State Pension would over time tend to increase further relative to earnings. This makes the triple lock policy controversial. Pensioners are being guaranteed increases that at least match and may exceed inflation, while state benefits for people of working age are frozen and earnings have, until recently, been stagnant. Meanwhile, OBR forecasts show the cost of the triple lock rising over time and experts, such as former pensions minister, Baroness Altmann, claim it will become unaffordable. The triple lock has never been written into legislation. The current statutory commitment is to increase both the basic state pension and the new flat-rate pension at least in line with earnings, but even that could be up for change. There is a range of proposals on the table – for example, removing the 2.5% guarantee to leave a double-lock, linking only to earnings (possibly averaged over several years to smooth out ups and downs) or reverting just to price indexation. For pensioners, the see-saw may be on a down-stroke once again.